Last time I wrote about Star Wars Celebration V, Carrie Fisher (Princess Leia) was the only person on the guest list and not a whole lot more was known. Boy have things changed in the past few months. There is seemingly little doubt that Star Wars Celebration V is going to be a fandom convention of downright galactic proportions. Star Wars Celebration V is an official Star Wars convention held every few years at different locations across the world. This year it is being held at the Orange County Convention Center in Orlando, Florida, USA, on August 12-15, 2010. Previous Star Wars Celebrations have been held in Indiana, Colorado, California, London, Tokyo. Organizers anticipate that 30,000+ people will be in attendance for Star Wars Celebration V.
In addition to getting Carrie Fisher, Anthony Daniels (C3PO), Peter Mayhew (Chewbacca), Daniel Logan (young Boba Fett), Jake Lloyd (young Anakin Skywalker), and numerous other supporting cast members from the six feature films will be there signing autographs. And oh yeah, this guy named George Lucas will be there, and he’s being interviewed by this other guy named John Stewart. Crazy right? I felt that disturbance in the force too. 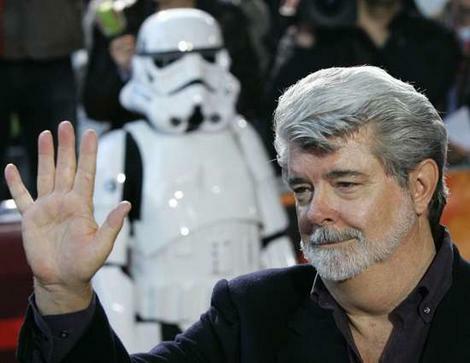 This will be only the second Star Wars Celebration appearance by famed Star Wars creator George Lucas, who last attended Celebration III in Indianapolis, Indiana, in 2005. According to the convention organizers, “Lucas will appear onstage at a date and time yet to be scheduled.” It does not look like he’ll be doing any signings or photos, sorry. Tickets will be more expensive if purchased at the door. VIP Packages were available, but have since sold out. Autographs can be purchased separately, and the prices are listed via Official Pix’s website (they are handling the autographs for this convention). Just as an example of what you can expect, Carrie Fisher and Anthony Daniels are charging $50 for their autograph, whereas Ray Park is only charging $35 by comparison. The cheapest autographs are $20, and are typically for the supporting cast members from the franchise. Although The Convention Fans Blog crew won’t be at this con, we have a number of loyal readers going. We definitely want to hear your feedback on how it went! Holy crap! You have got to be kidding me. John Stuart interviewing George Lucas? That is going to be hilarious. I doubt I will make it to the con, but no doubt it will be on YouTube later. I will have to remember to look it up. I hope Stuart grills him on behalf of the fans, haha.